Anna, considered one of the original Desert Divas, was born in Arkansas but grew up in Tucson. Her mom started feeding her love for music very early on via exposure to operas, symphonies, and regular piano playing in the house. Because of her mother's influence, she started singing her last year of high school. She joined an a cappella group in college. Chris Davis of The Rowdies was the first person to put Anna on stage in Tucson. This opened the door for an opportunity to sing with Bobby Taylor, which ended up being her first weekly paying gig. It all snowballed from there. She has since played with some of the best musicians in town. Bryan Dean, Tony Uribe, Bad News Blues, Kevin Heiderman, Steve Grams, Danny Krieger, Richard Gomez, Marx B. Loeb, Chip Ritter, Larry Deihl, are just a few of the amazing people she has worked with, and continues to work with. Lisa Otey, a fellow Desert Diva, helped to launch Anna's international success. 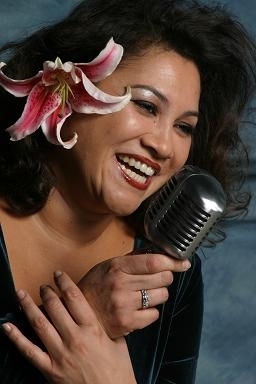 In 2004, Lisa took Anna and other performers to France for a jazz festival. Since then, she has traveled to Spain and Mexico. She has toured Holland twice with Mr. Boogie Woogie and also toured with Holland's Raymond Guitar Ray Nijenhuis. She insists there is more to come, as The Goddess of Love is just getting started! 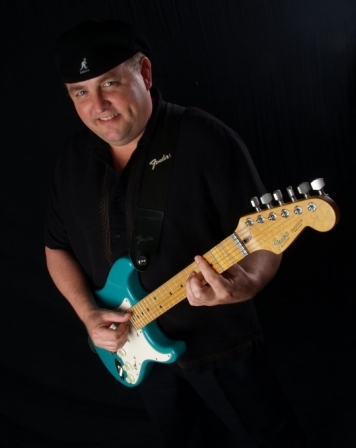 Mike Walden is a veteran of rock bands dating back to 1968. He grew up musically steeped in the southern blues of the Allman Brothers and Johnny Winter. Mike played in several memorable bands in Fayetteville, North Carolina, including Valley - one of the top Carolina bands in the early 70's. After moving to Minot, North Dakota in 1985, he formed The Crew - a band voted "Best Rock Band in North Dakota". In 2000, Mike and Joe LoCascio (Vocals / Drums) formed East2West - a very popular Rock-Motown-Blues band in Tucson, Arizona playing resorts and special functions. Mike currently plays with East2West and Giant Blue. Music is to Taylor as the sun is to the moon. Without the sun, the moon would just be a dull rock floating through space, simply existing. When it comes to playing the bass, he knows when to hold 'em and when to kick 'em in the pants. On his 11th birthday, he received a Squier Jazz Bass and the Earth, Wind, and Fire Greatest Hits album and, the rest, as they say, is history... and the future. I don't know why they say that. It doesn't make any sense. 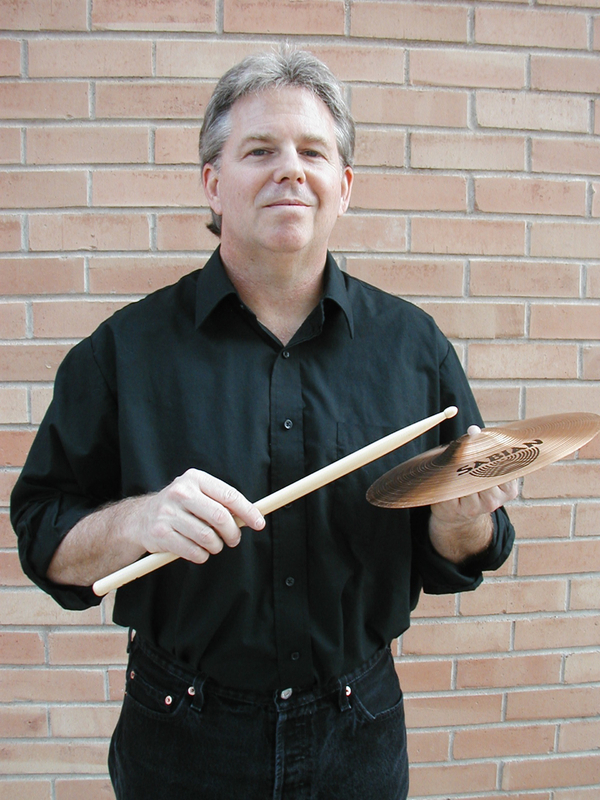 Jeff Stone hails from Eureka, California, and started playing his dad’s drums at age 7. He played big band jazz, rock and blues in NorCal from middle school to college before moving to the SF Bay Area to record and tour with several original rock bands in the 80s. Around 1988, he put music aside to start a family and pursue his career as a professor of Psychology. He now teaches at the University of Arizona. 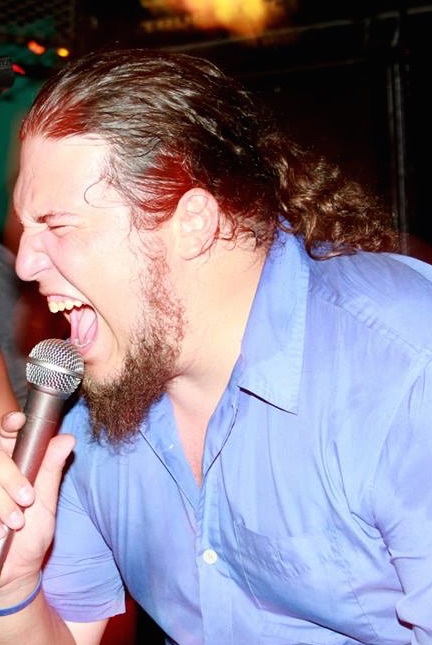 Since moving to Tucson in 1997, Jeff has played around Southern Arizona with several bands including Nigel’s 11, The Freeze, Grind, Fuzion, Mr. Bonestripper, Running Hot and Soul Harvest. He feels lucky to have the opportunity to return to his jazz roots with Giant Blue. 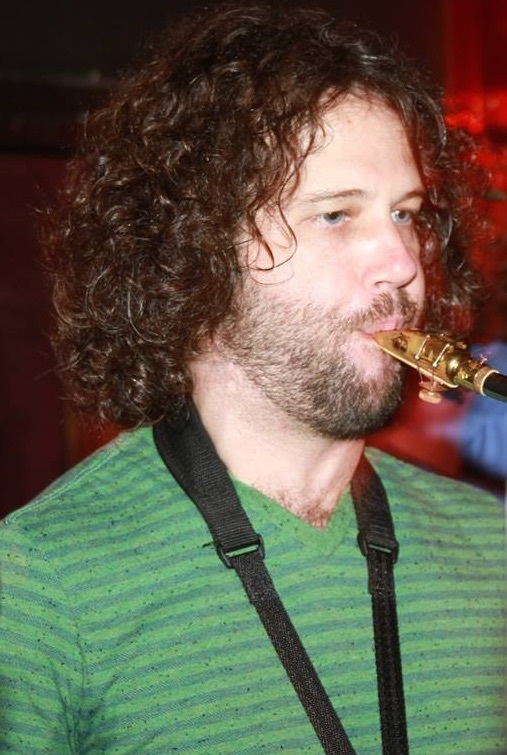 A native to Tucson, Kevin picked up the saxophone in grade school. 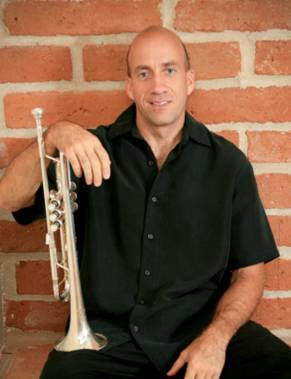 In 2004 he received a scholarship to attend the School of Music at the University of Arizona where he played with many groups including the UA Studio Jazz Ensemble, Wind Ensemble, and Pep band. Kevin graduated with a degree in Music in 2008 and has been working as a local musician and accountant ever since. His musical influences and tastes are eclectic and diverse ranging from jazz, to hip-hop, rock, latin, classical, and R&B. 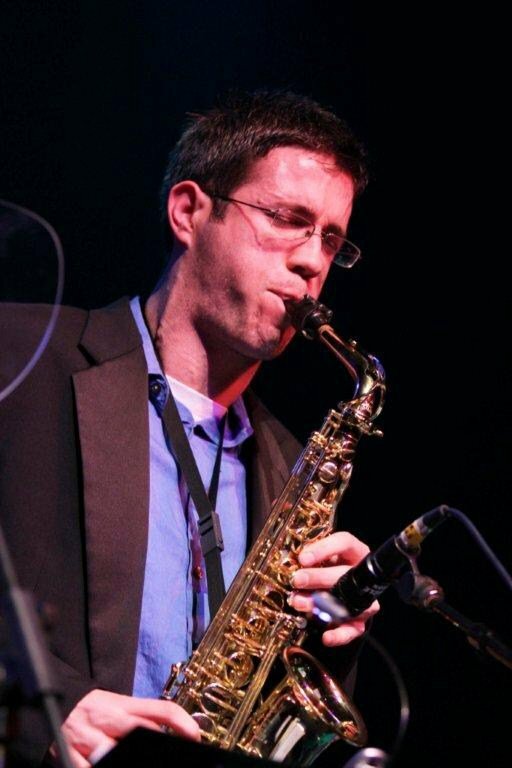 Kevin has played with The Temptations and many jazz greats including Victor Wooten, Bud Shank, Carl Saunders, Pete Christlieb, and Jeff Coffin. The baritone sax is Kevin's favorite horn, and some of his favorite groups are Bela Fleck & the Flecktones, Youngblood Brass Band, Sublime, and of course, Tower of Power. Ross Daniels has been playing professionally for 30 years now. His influences include many of the horn bands from the 70's with which he grew up, such as Chicago, Earth, Wind & Fire, Blood, Sweat & Tears, and Tower Of Power. He also has a strong affinity to the progressive rock bands from that period such as Yes, Rush, Emerson Lake and Palmer, King Crimson and Jethro Tull. He also admits to being a huge fan of Pink Floyd. Not unlike any young trumpet player, he also spent hours listening to Maynard Ferguson's bands. After college, he embarked onto cruise ships, and over the years wound up working in the show bands of 18 different cruise ships. He was fortunate to travel all over the world doing what he loves, playing music, while visiting 52 countries on 6 different continents. After the cruise days were over, Ross settled in Seattle and immediately began working in various pit orchestras. During his 10 years there played a total of 21 Broadway shows. Some of the artists with whom Ross has had the pleasure of performing include Dizzy Gillespie, Frankie Avalon, Rita Moreno, The Four Tops, The Platters, The 5th Dimension, Toni Tennille, Charo, Susan Anton and The Osmonds. He came back to Tucson in 2002, and is glad to still be at it, this time with a wonderful band and wonderful band mates, playing the music of his youth. He's having a blast recreating these great classics and hopes to be at it for a long time. 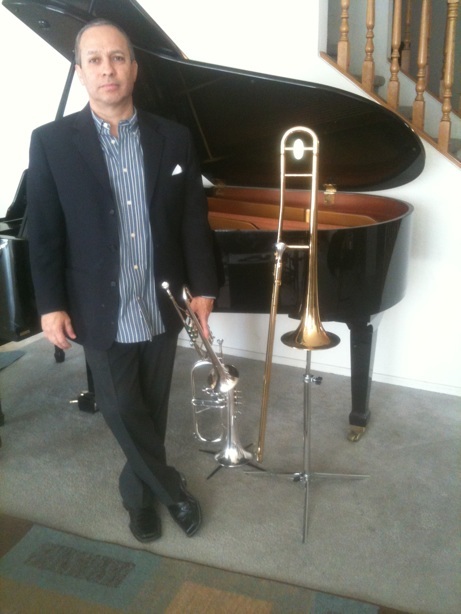 Carlos started playing professionally at the age of 12 with his dad and brother in a Mexican Big Band. 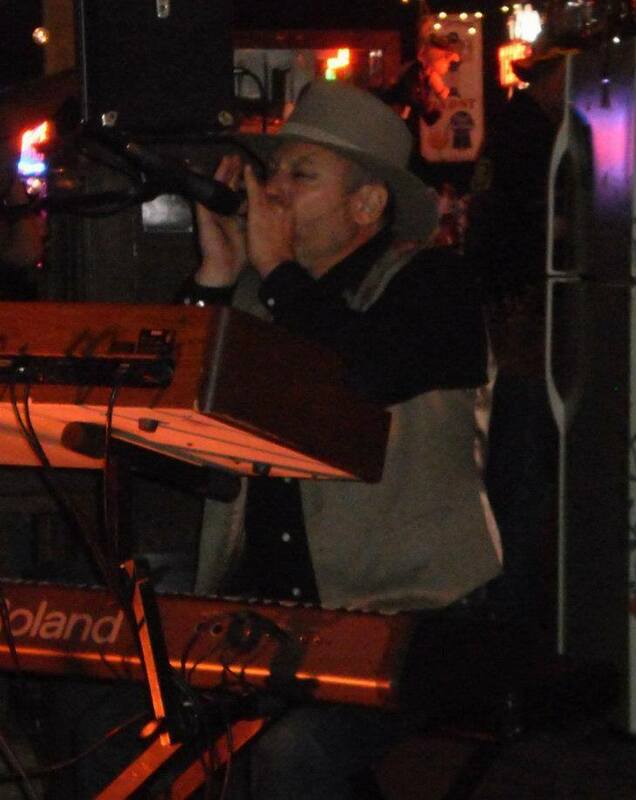 As he got older he started playing different genres: Jazz Bands, Latin Bands, Salsa Bands, and Funk Bands. He toured the world with several great bands. One of these bands was The Ray Charles Orchestra, where he played lead trumpet. Like Jeff he set music aside in 1988 and retired for about 20 years. Carlos started playing professionally again in 2009, thanks to a good friend and world-class trumpet player - Rick Peron, who encouraged Carlos to play again.